It was good to catch up with Dane Smith from Legana up at Kempton the other day when he rolled in to the Caltex there driving a very tidy F.A.M.E. Foley Hino 500 1024 FD rigid. He was on his way empty from Hobart back to Launceston and told us he has been with the outfit for about three years now. 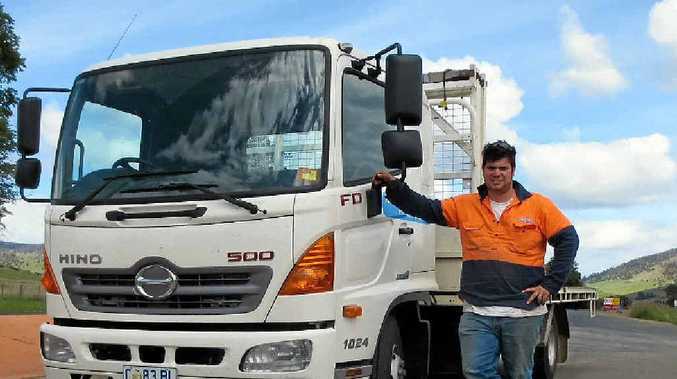 Dane added that he really likes the Hino and that it is a great job, out on building sites all over Tasmania (he is working on the wharf in Hobart at the moment) and he enjoys all the variety. Sadly, he tells us, our old mate Dave Smink had a bad accident a year ago losing half of a leg into the bargain… we at Big Rigs would like to wish him a speedy recovery.